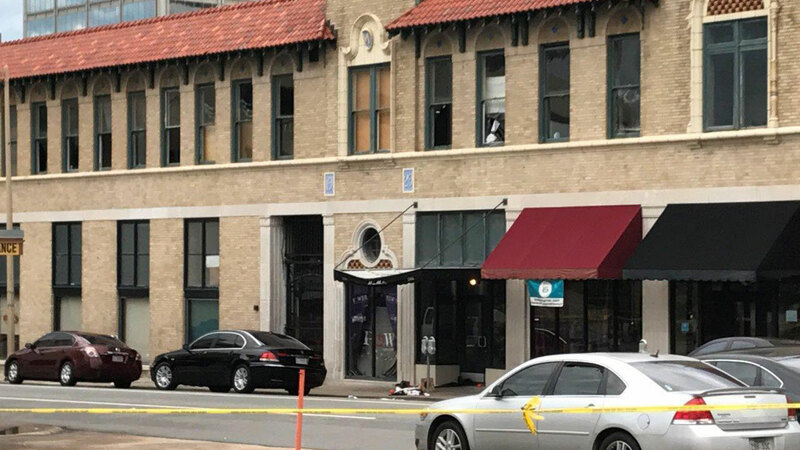 LITTLE ROCK, Arkansas -- Clubgoers screamed and scrambled for cover as dozens of gunshots rang out during a rap concert in downtown Little Rock early Saturday, leaving 28 people injured from an 11-second melee that police said may be gang-related. The volley of gunfire inside the Power Ultra Lounge came so fast that investigators believe multiple people had to have been involved. Police Chief Kenton Buckner credited quick work by first responders for there being no fatalities. Twenty-five people between the ages of 16 and 35 suffered gunshot wounds, and three others were hurt, perhaps while fleeing, Buckner said. Two people were in critical condition Saturday afternoon. Police said officers did not have any suspects in custody. Courtney Swanigan, 23, told The Associated Press that when the gunfire rang out, "I just closed my eyes, got down on the ground and put my hands on my head." City officials said they would move Monday to shut down the club under a "criminal abatement" program. State regulators suspended the club's liquor license earlier Saturday and Mayor Mark Stodola said the property's manager was delivering an eviction notice. "We know we've got to use a hammer, we've got to use a big hammer on the people who would do violence with guns and hurt people," Stodola said at an afternoon news conference. He said the city must "keep guns out of the hands of the wrong people" and suggested that people refuse to patronize clubs that seem to promote violence. Material advertising the concert by Tennessee rapper Finese 2Tymes showed a man pointing a gun at a camera. "A promotional video with a gun on the front cover inviting people to a concert ... should also be totally unacceptable in our community," the mayor said. The shooting capped a violent week in Arkansas' largest city. Police had responded to a dozen drive-by shootings over the previous nine days. "This does appear to be a continuation of disputes from some of our local groups," Buckner said. "You've seen some of the things playing out in our streets that has resulted in drive-by shootings." The shooting occurred around 2:30 a.m. about 1 mile (1.61 kilometers) east of the state Capitol building. First-responders are stationed through the central part of the city and hospitals are a quick ride away. "We had professional people responding to that incident and they did what they were trained to do, and I know they probably had something to do with the fact we didn't have any fatalities," Buckner said. He also credited divine intervention. Top state officials offered to help the city respond to an increasing number of incidents. "Little Rock's crime problem appears to be intensifying," Republican Gov. Asa Hutchinson said in a statement. "Every few days it seems a high-profile shooting dominates the news, culminating with this morning's event. I have spoken this morning with Mayor (Mark) Stodola and I have offered both my heart felt concern over this senseless violent tragedy and state assets as needed to address the continued threat of violence in our community." A Facebook video posted from inside the club included audio of at least 24 rounds fired in about 11 seconds. Darryl Rankin, who posted the video, said a friend of his who attended the concert with him had a bullet "stuck in his spine." Buckner said police had not yet spoken with the rapper, who he said has outstanding warrants in the state. Calls to a number listed for Finese 2Tymes' booking agent weren't returned Saturday, but a message was posted on the artist's Facebook page offering thoughts and prayers for those injured: "THE VIOLENCE IS NOT FOR THE CLUB PEOPLE. WE ALL COME WITH 1 MOTIVE AT THE END OF THE DAY, AND THATS TO HAVE FUN." Police cordoned off the area as technicians collected evidence from the scene, which is near a Roman Catholic cathedral and a First United Methodist Church center. A number of worshippers gathered for a funeral at St. Andrew's while police continued their work. Glass from the Power Ultra Lounge's second-story windows littered the ground, along with empty drink cups. In the parking lot, a silver Toyota had what appeared to be a streak of blood on the front passenger-side door. "I'm sick of all the killing and I'm tired of all the shooting. The kids getting hurt," said Raida Bunche, who was waiting outside the club after hearing from a friend that her son had been inside. She found out later that he had run from the club when the shooting started and was not hurt. Before Stodola announced that the city would shutter the club, officials at the Arkansas Alcoholic Beverage Control office suspended the club's liquor license and set a July 10 hearing on three potential charges: disorderly conduct, allowing possession of weapons on the premises and "failure to be a good neighbor." The club's license has been suspended 11 times for failing to pay taxes, and it has been cited seven times for 14 various violations including unknowingly furnishing alcohol to minors and allowing alcohol to leave the premises since 2012, ABC Director of Enforcement Boyce Hamlet said. Arkansas lawmakers this year passed a law allowing concealed handguns in bars, with permission of the businesses' owners and if the gun permit holder completes additional training. The law takes effect Sept. 1, but the training likely won't be available until next year.